There will be a memorial service for Professor Cross in Memorial Church in Harvard Yard on Saturday, November 10th, at 4:00 p.m. I will leave it to scholars to write of his scholarly accomplishments. I will only write of what I know: He stood at the very pinnacle of the profession, universally respected and admired. When he spoke, others stood in awe. The Hancock Professor of Hebrew and Other Oriental Languages at Harvard University, the third oldest endowed academic chair in the United States, Cross was a specialist in the Dead Sea Scrolls, in obscure ancient languages, in the science of dating ancient inscriptions based on the shape of the letters, in the Biblical text and in archaeology, to name but a few. I’ve been at this desk for almost 40 years and by now I can comfortably engage with senior colleagues. In the early years, however, I was a newcomer. I was a lawyer who had never taken a course in archaeology or even in the Bible. In those days, I divided scholars into two categories—those who welcomed novices like me and the other kind, who looked at me from their empyrean heights. Frank was clearly in the former group and I valued his friendship more than I can say. Whenever I was up Boston way, I would visit Frank, often in his lovely colonial home in Lexington— “that neck of the wood / where once the embattled farmers stood”—where Frank lived with his wife, Betty Anne—by that time, their daughters were out of the house and on their own. Frank raised orchids, which seemed just right for him. Among the book’s many insights, I think my favorite is Frank’s identification of Mt. Sinai—in Saudi Arabia. At first it sounds crazy, but I think Frank is right. It’s in northern Saudi Arabia, near the Jordanian border, in what was ancient Midian. I’ve always wanted to visit the site and in recent years I knew a senior diplomat who offered to help me; he was very close to the Saudi ambassador to the United States. But even this didn’t work: I could get a visa but not permission to visit the northern part of the country. When Frank and I talked about the Dead Sea Scrolls, the campaign for their release had already been won, but until that happened we skirted the issue. As I said, Frank was a member of the original scroll publication team that had refused to release the scrolls. And I was the chief screeching voice that was protesting. Moreover, Frank had scroll publication assignments that after 40 years still had not been published. We never discussed this. I had the feeling Frank agreed with me in principle, but couldn’t express it. After all, he himself was vulnerable. Moreover, Frank signed the letter (with more than 80 other scholars, including Jewish scholars) defending Frank’s Harvard colleague John Strugnell against charges of anti-Semitism. In short, Frank and I had our differences, but I mention this because this only enhanced my respect and admiration for the man. He was willing to respect my viewpoint, as, of course, I was his. He could also write for the layperson—and gracefully at that. I think of his 1958 book The Ancient Library of Qumran and Modern Biblical Studies, which was reprinted a number of times and ultimately reissued in a revised edition.iii It is still worth reading—and often is. I cannot close without noting that Frank had an academic sibling of equal but different stature. Frank and David Noel Freedman were students together under the tutelage of their doktorvater, William Foxwell Albright, the father of modern Biblical archaeology. Frank and Noel even wrote a joint doctoral dissertation supervised by Albright.iv Noel died in 2008.v Now they are both gone. An age has ended.—H.S. We received additional remembrances and responses by colleagues, admirers and friends of Frank Moore Cross, and we would like to share them with the Bible History Daily community. If you would like to share additional reflections on Cross’s life and achievements, please click here to email us a response, or leave your comments in the section below. Staff and associates of the Semitic Museum join with many others in the Harvard community and beyond who mourn the passing of Frank Moore Cross, who died on October 17th, 2012, at the age of 91. Frank Cross was esteemed by scholars around the world for his original and illuminating work in Biblical studies, the Dead Sea Scrolls, and the history of the Ancient Near East. Frank held one of the oldest chairs at Harvard, the Hancock Professorship of Hebrew and Other Oriental Languages, from 1958 until he retired thirty-five years later in 1992. His successor, Professor Peter Machinist, has written an elegant tribute to Frank Cross highlighting many of the major themes of his scholarly career (see below). As an archaeologist of the Levant, and as an avowed and unapologetic Biblical archaeologist in the tradition of W.F. Albright, G. Ernest Wright, and Frank Moore Cross, I would like to preface the tribute with a few remarks about Frank’s contributions to archaeology. Lawrence Stager, Frank Moore Cross and Leon Levy. During the excavations at Qumran in the 1950s, Cross and J.T. Milik took some time off from there to explore the Buqê’ah (“little valley”) a few kilometers to the west. There they surveyed and partially excavated three forts with adjacent farms dating to the late 8th–7th centuries BCE, making them early pioneers in the archaeology of frontier desert agriculture. Frank Cross generously gave me all of their documentation as I continued this desert research for my PhD dissertation, completed in 1975, with Cross as my primary advisor. He, by the way, sat on more than three hundred PhD committees and served as primary advisor on more than a hundred of those. As Drector of the Semitic Museum from 1974 to 1987, and as chief editor of its publications, many of these dissertations were published in the Harvard Semitic Museum Series. As President of the American Schools of Oriental Research, Cross became the principal investigator at the start of the excavations at Carthage (1975–1980), where we discovered the commercial harbor (mentioned by the Roman historian Appian), and excavated in the nearby “Precinct of Tanit” (also known as “Tophet”), where hundreds of human infants, as well as lambs and kids, were buried in cremation urns, some with their votive monuments still standing. Frank and his former student, Professor Paul Mosca, have deciphered the incised inscriptions on these stelae, but interpreted the key sacrificial terms in very different, but equally persuasive ways. Just this year, the physical anthropologist Prof. Patricia Smith and our team published a definitive article in Antiquity, proving beyond a doubt that the cremated infants (nearly all one-to-two months old) were indeed—as Cross had always maintained on the basis of ancient texts and inscriptional evidence—sacrificial offerings, not venerated fetuses or newborns who died of natural causes, as several revisionists have proposed. During several seasons of our ongoing excavations at the great Canaanite and Philistine seaport of Ashkelon, Frank and Betty Anne would spend a week or more on the dig as he studied the new crop of inscriptions. In Ashkelon 1, he published numerous epigraphs from the 604 BCE destruction of the city, at the hands of Nebuchadnezzar and his Babylonian army, as well as inscriptions from the Persian period. These were mostly pot sherds (ostraca), with painted inscriptions, many of which were quite worn and faded, written in Phoenician, Neo-Philistine, Aramaic, and Greek. From his vast knowledge and experience, Frank had an uncanny ability to decipher the most baffling messages from the past. Frequently, we could check his readings by the non-inscriptional context in which they were found. In Ashkelon 3, we published what is, to my knowledge, the first permanent pre-Classical marketplace ever excavated. Cross’s reading of the inscriptions, when coupled with the pottery, bones, botany, and architecture, made the interpretation of this complex as a marketplace extremely compelling. Near the “Counting House” lay an ostracon recording the sale of grain. The verb in this inscription could be used of the payment in silver. A few meters away, scale weights and a balance marked the location for weighing silver (Hacksilber, cut-up pieces of jewelry and ingots) in exchange for goods and services. In the “Counting House” lay a pile of charred wheat, once held in a cloth sack, which had been shipped from the Sharon Plain and sold in the Ashkelon marketplace. One of the last articles that Frank wrote (with Stager, Israel Exploration Journal 56 ) dealt with a really enigmatic inscription of nine characters from the early Philistine period (12th–11th centuries BCE) at Ashkelon. He made a great breakthrough as he identified the script on this locally made pottery as Cypro-Minoan. This script, also known from Crete, Ugarit, and Cyprus, where it was later used to write early Greek, remains undeciphered; but Frank Cross has paved the way for its eventual decipherment by identifying it as one, if not the only, early non-Semitic script used and adapted by the Philistines when they migrated from the Aegean world and first settled in southwest Canaan. Undoubtedly, there will be tributes from around the world to the brilliant life and career of Frank Moore Cross. Professor Sidnie Crawford, one of his former students, has organized a session for friends and colleagues to pay tribute to and share reminiscences of Professor Cross at the annual meeting of the Society of Biblical Literature in Chicago. It is entitled “Honoring the Legacy of Frank Moore Cross,” and will be held on November 17th, 2012, from 5:00 p.m.–6:00 p.m. at McCormick Place, Room W183A. The week before, on Saturday, November 10th, there will be a memorial service for Prof. Cross to be held in Memorial Church in Harvard Yard at 4:00 p.m.
Frank Moore Cross, one of the premier biblical scholars of the past century, died early Wednesday morning, October 17. 2012 in Rochester, New York. He was 91. Cross had been Hancock Professor of Hebrew and Other Oriental Languages Emeritus at Harvard University, where he taught for thirty-five years before retiring in 1992. After retirement, he and his wife, Elizabeth (Betty) Anne, remained at their home in Lexington, Massachusetts, and then moved in 2008 to a suburb of Rochester, New York, to be near one of their daughters, Ellen Gindele, and her family; Betty Anne Cross died in May, 2009. Born on July 13, 1921, the son and grandson of Protestant ministers, Cross was educated at Maryville College (1942), where he studied chemistry and philosophy and was a competitive swimmer, and McCormick Theological Seminary (1946), and then took his doctorate at Johns Hopkins University (1950). At Hopkins, his mentor was the renowned ancient Near Eastern scholar, William Foxwell Albright, and he quickly became one of Albright’s most important pupils. Leaving Hopkins, where he had been a junior instructor, he went on to teach at Wellesley College and McCormick Seminary, before coming to Harvard in 1957. Cross had a broad and deep command of the study of the Hebrew Bible and its multiple historical contexts, and achieved distinction in several areas of this field. He was an expert in the interpretation of biblical literature, making lasting contributions to the understanding of biblical poetry, particularly its earliest phases, of the compositional development of the great historical narratives of the books of Samuel, Kings, Chronicles, and Ezra and Nehemiah, and of biblical prophecy and apocalyptic. He was in the forefront of those investigating the history and culture of ancient Israel, from which the Hebrew Bible emerged, and of its relationships to the ancient Near Eastern and Mediterranean cultures around it. 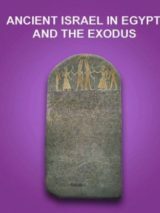 Especially incisive and important here was his work on the character and history of ancient Israelite religion, emphasizing its background in and adaptation of beliefs and practices from its Canaanite neighbors and forebears. Cross was also a master of the ancient Semitic languages and their interrelationships, particularly the Northwest Semitic group, from the eastern Mediterranean and north Africa, that included Hebrew, Aramaic, Ugaritic, Phoenician, and Punic. In these languages and their inscriptions he achieved special recognition as an epigrapher and palaeographer. As an epigrapher, he was regularly consulted by scholars from all over the world for his uncanny skill at deciphering and making sense of these inscriptions. As a palaeographer, he produced meticulous studies of the scripts in which the inscriptions were written, reconstructing the chronological developments of these scripts and thus providing a vastly improved foundation for dating the inscriptions on the basis of the type and character of the script used. 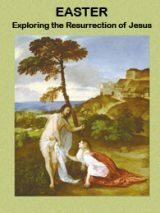 Most famous in this regard was his study of the scripts of the Dead Sea Scrolls, originally completed in 1958, and with but minor adjustments, still the essential resource for the analysis and 2 dating of these important texts. Cross also was a major specialist in the textual criticism of the Hebrew Bible; his research on the ancient manuscripts and versions of the Bible yielded new and far-reaching conclusions as to how the biblical text was composed and transmitted. Last and perhaps most well known was Cross’ scholarship on the Dead Sea Scrolls, those texts from the last centuries BCE and first century CE that came from a dissident Jewish community which had gone into the Judaean wilderness to await the end of history and the coming of a new age. Cross was one of the core members of the original team of experts piecing together and deciphering the often fragmentary Scrolls, and worked on all aspects of them, publishing editions especially of the biblical manuscripts, and a path-breaking study of the entire Dead Sea Scroll community, The Ancient Library of Qumran, which went through three English editions and one German from 1958 to 1995. Several features distinguished the scholarship just described. There was first a combinatorial talent: Cross’s ability to bring to bear on a particular problem an integrated range of skills, linguistic, literary, historical, archaeological, philosophical. Cross also was able to move in a fluent dialectic between the painstaking examination of minute details and a vision of the larger issues and structures to which the details could belong. And one cannot forget the skill at communication: the explanations were always lucid, if at times complex, and in a chiseled prose that could manage in a few pages what others would need many more to express. These same features also distinguished Cross’ teaching. His courses introducing the Hebrew Bible and on the history of ancient Israelite religion became staples for a large and broad range of students from beginners to more advanced. At the doctoral level students came to him from North America and beyond, and in his three and half decades at Harvard, he was the primary director of over one hundred of them and their dissertations, serving many more as a member of their dissertation committees — ] a record unsurpassed and probably unequaled internationally in his field. Cross was a demanding teacher, setting the bar high in terms of technical competence and broad, humanistic learning. He also had a remarkable knack for taking his students to the very frontiers of knowledge in the field, and imbuing them palpably with the excitement of standing at the brink of new discoveries. To be sure, he could at times appear formidable, even fearsome, but beneath the austerity was a warm human being who followed his students’ careers long after they had graduated, and who loved hearing as much as telling good jokes. Humor was indeed a deep part of his character, and Mark Twain one of his favorite authors. The gentleness could be found as well in his passion for horticulture: he was an expert cultivator especially of orchids. The honors that come from such a record of achievement were many. Seven honorary doctorates from universities in the United States, Canada, and Israel; elections to several scholarly academies, including the American Academy of Arts and Sciences and the American Philosophical Society; the presidencies and directorships of several of the major professional organizations in his field, like the Society of Biblical Literature and the American Schools of Oriental Research; co-founder and co-chair of the Hermeneia Biblical Commentary Series and editor or editorial board member of other major series and journals; recipient of several major awards for scholarship, including the Percia Schimmel Prize in Archaeology of the Israel Museum, Jerusalem, and the Medalia de Honor de la Universidad Complutense of Madrid, Spain; three volumes of studies in his honor (Festschriften) by colleagues and former students, with a fourth in preparation. Frank Moore Cross is survived by three daughters, Susan Summer, Ellen Gindele, and Rachel Cross, and six grandchildren. A memorial service is planned at Harvard University, the Memorial Church, on Saturday, November 10, at 4 PM, with a reception to follow. Thanks for the very personal obituary for my former teacher and friend, Frank M. Cross. He was, indeed, both a warm and generous person and an intimidating scholar. When I took Aramaic from him around 1958 or so, he would introduce a construction by announcing, for example, “you all know this in Icelandic,” which of course was absolutely false. Many of us didn’t even know that there was an “Icelandic” language. Once I walked into his office where he was pouring over some materials and he looked up and asked me something about Ethiopic, to which I could only plead ignorance. Perhaps my most graphic student memory was the day in a small seminar reading from the Hebrew Psalms, when he teetered too much in his chair at the end of the long table and fell down backwards, feet in the air, as one of the Israeli students read the Hebrew text. He brushed aside our concern and regained his position (without the teetering, I assume), asking the student to continue. Must have been a very moving passage! I’m attaching a picture from one of the last times I saw him, when he received an honorary degree from the University of Pennsylvania. My wife and I enjoyed dinner with Betty and Frank afterwards as part of the celebration. His [Frank Moore Cross] legacy and contribution to biblical studies is profound, and we extend our condolences to his family, friends, students, and colleagues … this is such a heartfelt tribute. Hershel is a gentleman’s gentleman. My teacher, mentor, friend and doctor father, Prof. Frank Moore Cross, passed away peacefully yesterday at the age of 91. He was, for me, the real Teacher of Righteousness. Jim Davila originally published this tribute on the PaleoJudaica blog. Read his tribute in PaleoJudaica by clicking here. Reports are coming in from many sources that my beloved doctoral supervisor Frank Moore Cross passed away peacefully yesterday, aged 91. I studied with Professor Cross at Harvard University from 1983 to 1988, writing a dissertation under him on unpublished manuscripts of Genesis and Exodus from Qumran Cave 4, one of the last of the over 100 dissertations he supervised. I read Northwest Semitic inscriptions and Ugaritic with him, and also took his class on the textual criticism of 1-2 Samuel. I recall spending endless hours in the library vocalizing arcane texts with Sidnie White (Crawford), Julie Duncan, and Russ Fuller for his classes. He also graciously agreed to do a special readings course in early Hebrew poetry with Sidnie, Julie, and me toward the end of our time in the NELC program. Among ourselves we referred to him as “FMC,” but our other nickname for him (never to his face, although I bet Sidnie told him about it later) was “El,” the mighty head of the Canaanite pantheon. It was the beard, you see. Along with the regal sense of authority and wisdom. As a student I was terrified of him, although he was always thoughtful and kind to me, as to all his students. I learned vastly from him, not only about Semitic philology and paleography, but also about academic politics and scholars as people. He was an excellent teacher who expected and got the very best from his students, and he also taught by example, just by being who he was. He had a wry sense of humor and he had endless entertaining stories. It was very important to him to get to know each student as an individual and to keep track of his students’ careers once they had graduated. He told us once in class how frustrating it was for him to run into an old student at a conference and immediately to remember that student’s dissertation topic, every position the student had held since graduating, and the name of the student’s spouse and children, but not to be able to remember that student’s name. Then he said that when this happened (and I’m sure it was exceedingly rare), he would tell the story about how William Foxwell Albright was once introducing Cross and David Noel Freedman at length and with great praise about how they were two of his star students, and then Albright couldn’t remember either of their names. A Wikipedia biography is here. Some past PaleoJudaica posts mentioning him are here, here, here, here, here, here, here, and here. The gracious gods are welcoming him into their midst. Requiescat in pace, Frank. Read William Yardley’s “Frank Moore Cross, Biblical Scholar, Dies at 91” in the New York Times. Read “Frank Moore Cross: An Appreciation” by Jonathan Rosenbaum of Gratz College on the ASORblog. Charles Jones of the Institute for the Study of the Ancient World compiled a list of forty-two articles written by Frank Cross which are accessible on JSTOR. i. (Washington, DC: Biblical Archaeology Society, 1994). Also available as a free eBook download here. ii. (Winona Lake, Indiana: Eisenbrauns, 2003). iii. (Grand Rapids, MI: Baker, 1980). v. See Noel Freedman’s obituary by Astrid Beck, “David Noel Freedman (1922–2008),” BAR, July/August 2008, and my letter to Noel: www.biblicalarchaeology.org/freedman. Yes! Finally something about clash of clans nba 2k12 tips on defense. While the passing of Frank Cross is bemoaned by a number of his former students and called “The End of an Era” by Hershel Shanks, in my view Professor Cross will be equally remembered for his tight control over the Qumran Scrolls as noted by Hershel Shanks for “almost 40 years”. For those of us who followed the accessibility to the Scrolls, one could not help noticing that while the excuse was given that the unpublished Scrolls were denied open access usually due to the fact that only competent scholars (whatever is meant by “competent scholars” was highly subjective on Cross’ part) should translate these text; reality proved time and again that graduate students studying at Harvard under the mentorship Cross seemed to always meet that criteria – a criteria which also implied that other universities professors and their student were substandard. Thus, unlike the Nag Hammadi Codices which were given open access to all scholars, the Qumran Scrolls were sadly used by Cross to draw students into Harvard’s Division of Near Eastern Languages and Civilizations. Then too, Frank Cross (for all his expertise as an epigrapher and palaeographer) seemed to not have been in denial when one of his own Harvard team ceased to be a competent and qualified scholar as in the case of John Strugnell. One of Cross’ students told me that when he flew to Israel to study a Qumran Scroll he had been granted access to, he found a drunk Strugnell lying in a room at the École Biblique with stacked cases of beer and using his navel as an ash tray to which reality should have proven to Cross that alcoholism had clearly replaced his colleague’s competent and qualified scholarship quite some time back. In the final analysis, Franks Cross will be remember for not only his sharp ability to date scripts, but his accomplishments will have to be tempered by flawed personal ideology that limited the Qumran Scrolls’ access mostly to individuals of the Harvard community; be they qualified or not. May the Eternal One comfort his family with those who mourn in Zion and Jerusalem. Frank Moore Cross came to our seminary to give a talk on the Dead Sea Scrolls back in the early 60’s. when he finished we needed Ray Brown a Johannine scholar to redo the talk for us. Cross was a giant in biblical scholarship.